NSLHA's mission is to promote services for speech, language, hearing, swallowing and related disorders in Nebraska; to encourage education and research activities; and to advocate for the rights of persons with communication disorders. Learn more. NSLHA member, Jenise Straight discusses the value you receive from being a NSLHA member. "After you have met all these people you have access to a wealth of knowledge and expertise that you wouldn't get anywhere else." NSLHA Members Celebrate Better Hearing and Speech Month during a proclamation ceremony this morning at the Capitol. Nebraska Lieutenant Governor Mike Foley presented the proclamation to NSLHA President Jill Kumke. Share your story with us in words, videos and/or photos about how you became a speech pathologist or audiologist. We’d also like to showcase and recognize NSLHA members for your activities and support of your local communities on the website. Send your information to info@nslha.org. 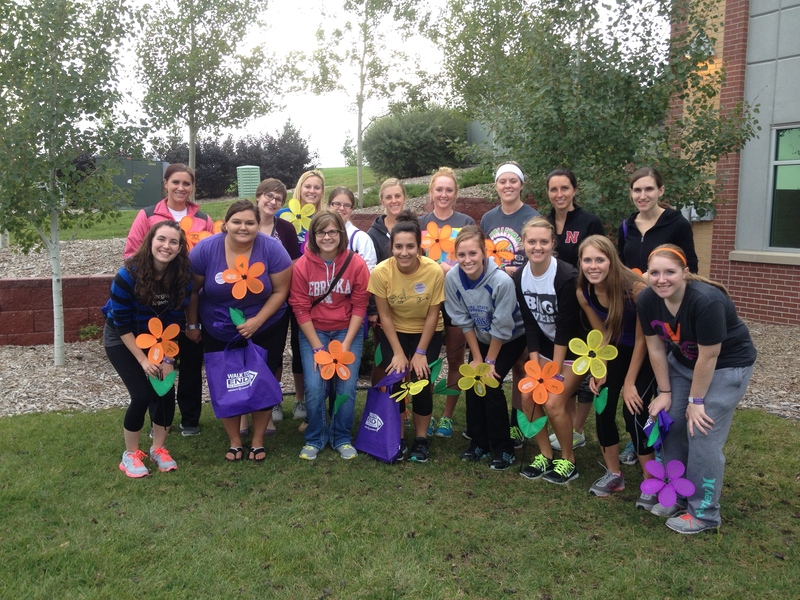 KSSHLA didn’t waste any time getting involved in the Kearney community during the Fall Semester! Members participated in both the Alzheimer’s Walk and the Susan G. Komen Race for a Cure, along with providing additional fundraising efforts and donating the proceeds to the Alzheimer’s Foundation. Read more about KSSHLA below! The University of Nebraska at Omaha’s NSSLHA chapter has been busy this semester. The chapter is full of close to 60 graduate and undergraduate students who are studying speech-language pathology, and more importantly, striving for excellence. 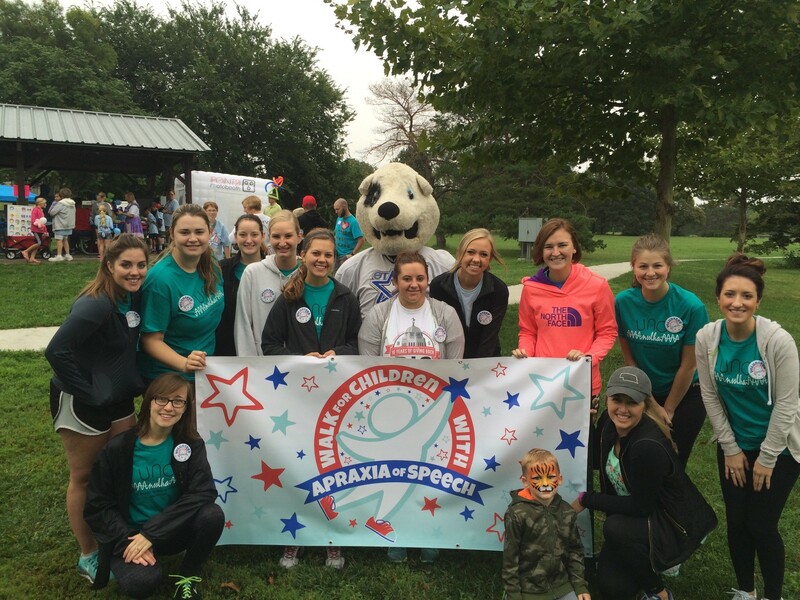 The students of the chapter are finding themselves immersed in the Omaha community while advocating for and interacting with those who are affected by communication disorders. UNL NSSLHA had a busy school year! 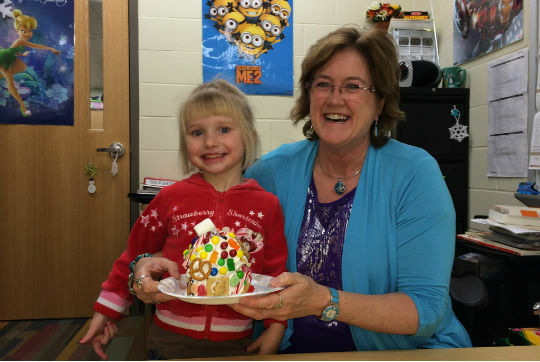 They participated in multiple volunteer opportunities and social events all around Nebraska and surrounding areas. Some of the volunteer opportunities they participated in were: the Huskers for Hearing Annual 5k run, Relay for Life, and the Iowa Miss Amazing Pageant. 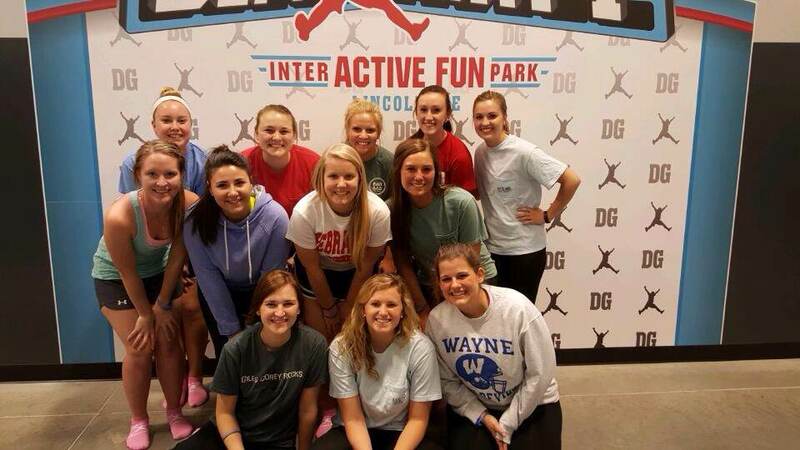 UNL NSSLHA members enjoyed social events at Defy Gravity, a Scavenger Hunt, a froyo trip to Red Mango, and an Egg Hunt at the People’s City Mission. UNL NSSLHA definitely achieved their goal of getting to know members better and maintaining their volunteer opportunities during the 2014-2015 school year.